Posted by Jessica Brown on February 28, 2018 in Basketball, Sports, Top Dawg. The Ferris women’s basketball team secured its first GLIAC Tournament berth since 2013 as the Bulldogs beat visiting Purdue University Northwest 83-47 on Thursday, Feb. 22. 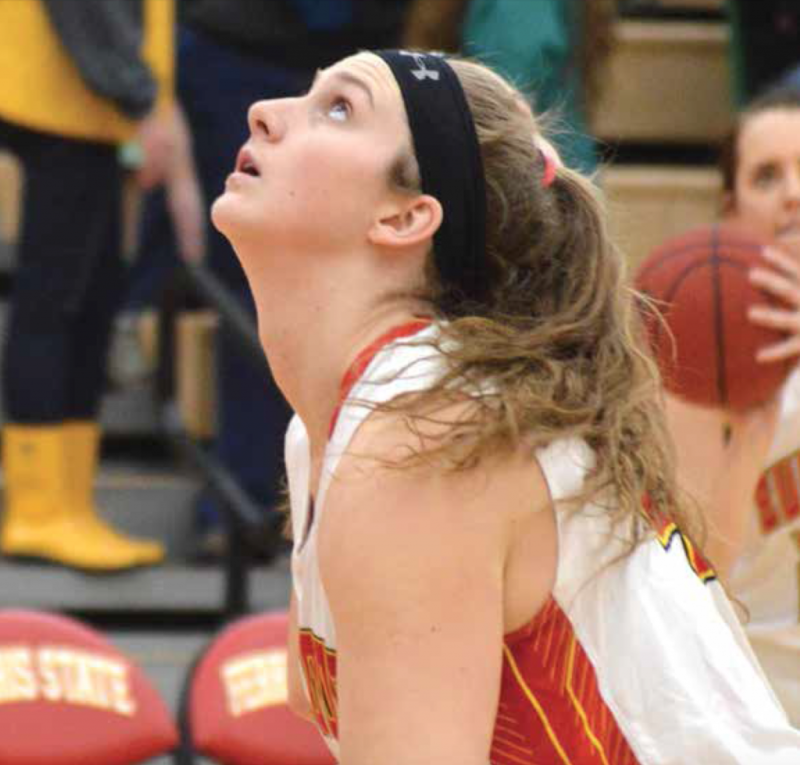 Ferris sophomore forward Lilly George has been a consistent weapon in the past week’s home matchups. This week’s Top Dawg had a heavy contribution in the defeat of PUN, tallying 10 points and four rebounds. The Bulldogs were unable to get the win in their next matchup with rival Grand Valley, coming out of Wink Arena with a 77-64 loss. George, however, wasn’t going out without a fight, posting seven points, six rebounds and two steals. The women’s team is currently 14-14 overall and the 14 victories are the program’s most since the 2011-12 campaign. The Bulldogs will be on the road for the first round of the GLIAC Tournament with quarterfinal-round play on Wednesday, Feb. 28, at Michigan Tech. Click here to see who took home last week’s Top Dawg honors.